The Cat and company travel by hot air balloon up and into various weather phenomena including rain, snow, thunder, tornadoes, and (yikes!) even hurricanes! 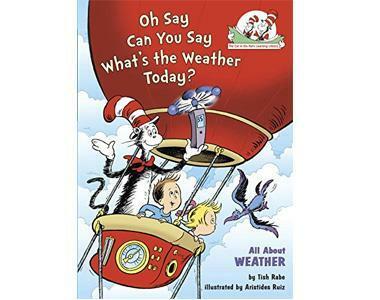 Along the way they learn about thermometers, anemometers, wind vanes, cloud formations, humidity, fog, smog, weather folklore, and how to stay safe in lightning.